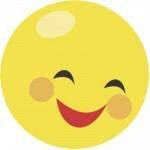 The smiley face emoticons that Facebook previously only allowed in messages and chat, are now available in comments. Whether this is a good thing or not depends on your circle friends. For a list of emoticons, see this article from FB Smileys. Feldman, Barbara. "Facebook Adds Emoticons to Comments." Surfnetkids. Feldman Publishing. 15 Oct. 2012. Web. 20 Apr. 2019. 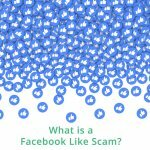 <https://www.surfnetkids.com/tech/1969/facebook-adds-emoticons-to-comments/ >. By Barbara J. Feldman. Originally published October 15, 2012. Last modified October 15, 2012.